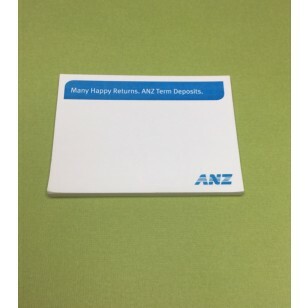 Show your GREEN pride with the use of these eco-friendly sticky note pads. Each pad contains 40 sheets of 100% recycled paper, measuring 70 mm x 75 mm. Useful and portable, the sticky note pads are great for storing in your car, briefcase, purse, and - of course - your desk for all those times when you quickly need to jot something down. 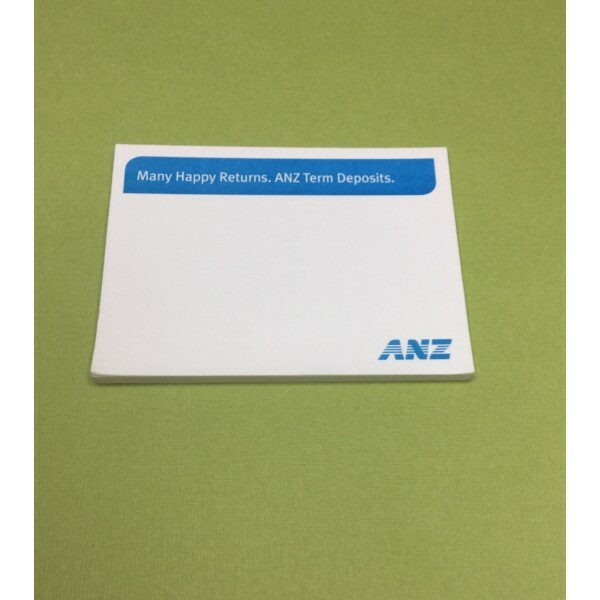 Be sure to take advantage of the one-colour printing and customize the sticky note pads with your company logo or personalized image. This flexibility can help those creating the seating chart for a company gala or wedding; they can aid busy moms looking to generate a dinner menu for the entire month; and they can be company administration to strategize company business processes. Please ask us for a quote on these alternate options when you make your enquiry. The uses for these clever 70 x 75 mm sticky note pads are endless, especially due to the adhesive backing contained on each sticky note, which allows the sheets to be affixed to most surface areas, including computer monitors, doors, and walls. The adhesive backing also allows the notes to be removed without any residue and then reapplied again and again when needed. The price includes the cost of the one-colour print customization, but does not include GST. We recommend limiting print area to no more than 50% of the page for maximum writing space for the end-user. All printing is done in Australia and product(s) can only be delivered to customers within Australia. Branding is done onto each page within the post it note pack.